Des Chênes-toi! Bourret race, an 11th edition that exceeds expectations! Pride and excitement, this is what you could read on the faces of the 11,800 athletes who took part in the different distances of the 11th edition of the Des Chênes-toi! Bourret race. Last Sunday, May 20, 2018, in the city of Drummondville, was held the second-largest running event in Quebec after the Montreal Marathon. Once again this year, it is with great pride that more than 140 Bourret employees and members of their family put on their running shoes to run in the streets of Drummondville. Year after year, we are always so proud to be the official presenter of such a great event. The Des Chênes-Toi! Bourret race is more than just a race, it is a gathering around common values, the adoption of healthy habits. Thus, there is nothing more rewarding than seeing the steady rise in registrations. This only confirms the current craze around the Des Chênes-toi! Bourret race. In addition, the holding of the Desjardins healthy living expo, which was at its first edition, reinforces the transmission of these values ​​of health and well-being. 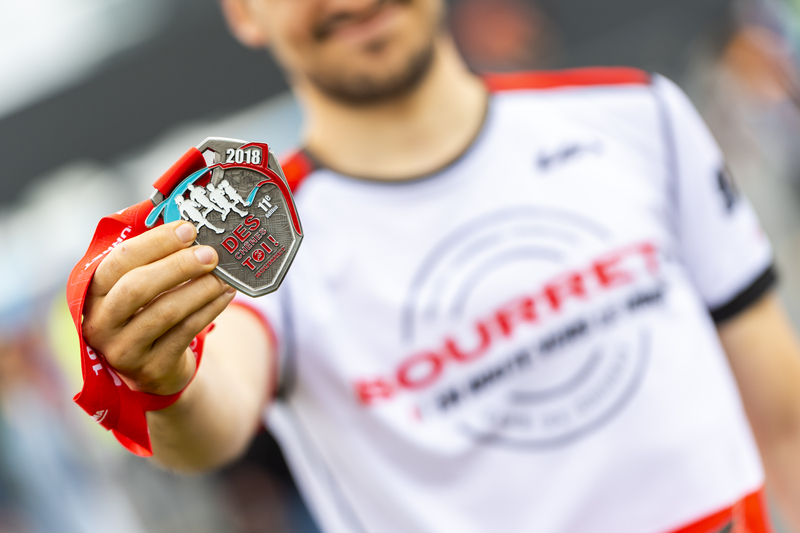 For the Bourret Group, the most important aspect is to keep the registration fees as low as possible in order to keep the event accessible for families in the region. By the way, you only have to look at the registration fees of other race events to see the difference. In addition, within our company, we invite our employees to sponsor a loved one for participation in the race, which means that their registration is paid in addition to receiving the official jersey of the race. In closing, we would like to thank the organizing committee as well as our many partners and collaborators for the success of this 11th edition. We would also like to acknowledge the involvement of all the volunteers who made this race an exceptional event. Finally, we also want to congratulate all the participants for taking up the challenge they had set themselves, thank you for responding positively year after year. Seeing your smiles at the end of your race is our biggest reward! What if we made an appointment for the 12th edition?